Chrome will expand its user protections and stop showing all ads on sites in any country that repeatedly display the disruptive ads. Why everyone’s is marching towards mobile video? To be frank, adtech industry can’t keep up with the booming video ads. Every now and then, someone bolsters the exponential growth of mobile video advertising and we’re obliged to cover the story for publishers. Because we all know video and mobile traffic are the drivers of open internet for the next decade. So, who said what about the mobile video? a. eMarketer predicts that US mobile ad spending will outscore all other traditional media ad spending combined, by 2022 2020. That’s the next year. b. 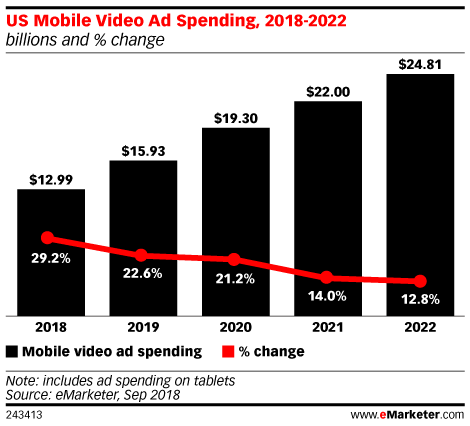 Specifically, mobile video ad spending in the US will nearly 2x by 2022, going from $15.93 billion to almost $25 billion. c. Nine out of every ten dollars spent on mobile video advertising will be going via programmatic channels during the forecasted period (i.e., 2019 to 2022). Let’s try to look at the data to see why the advertisers are flocking towards video. – New formats: Initially, mobile ads meant a few standards ad formats which hamper the user experience to get attention. But today, you can experiment with the new mobile ad formats to run the ad campaigns. From 6-seconds ads to vertical video ads, each has their own edge to help advertisers. – Smartphone video viewers: According to the same source, US smartphone video viewers will reach 187.7 million this year and will hit 205 million by 2022. This means the share of mobile web traffic and video consumption on the internet will increase drastically. – Time spent on videos: Viewer numbers won’t matter if they aren’t viewing the video content. But time spent on mobile videos is expected to stay around 30 minutes when we hit 2020. This isn’t a surprise for most of us. The Internet is piling up with video content every second and viewers are becoming addicted to them. If you don’t know already, we advise the publishers to follow the readers first. Readers attract advertisers, which in turn, draws ad dollars. Also, prepare yourself to face the fraudsters as they’ve started siphoning video ad dollars. NBCUniversal, one of the top 10 programmatic publishers of 2018, as cited by AdExchanger has been trying to evolve its advertising to serve the 21st-century audience. Last week Axios reported that the TV broadcasting giant will further cut down its TV ad breaks on primetime and focus more on digital ad formats instead. As per the source, the company will reduce its ad break by more than 20% by 2020. In addition, ad loads (ratio of ads to other content) will be decreased. We just saw how mobile videos are kicking the traditional ads out of the advertising. So, it’s natural to see TV networks (especially, NBCUniversal) to move away from TV breaks. In fact, it had partnered with Vox media to sell digital ad impressions through a premium ad exchange called, Concert. 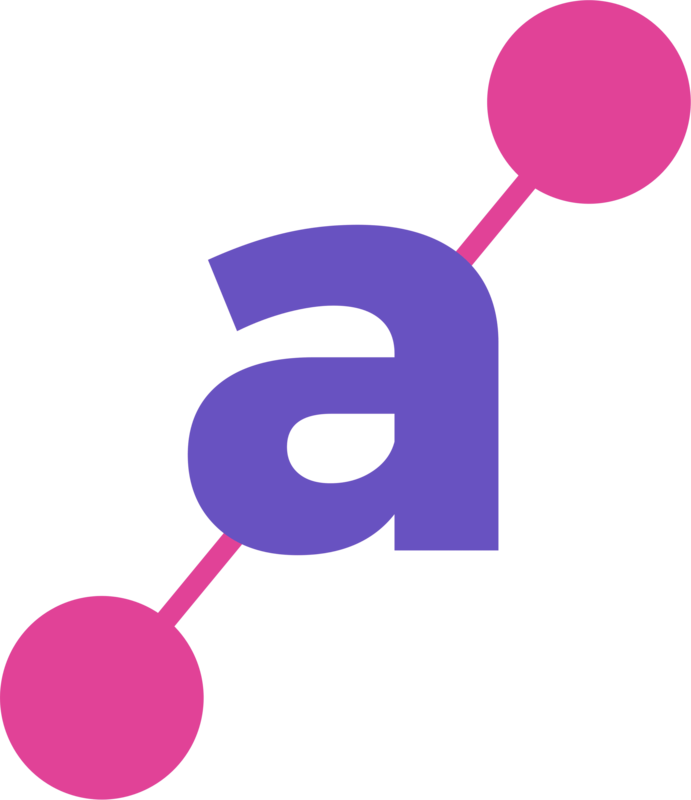 It even went on to develop a proprietary AI to match advertisers with programming content. But what’s surprising is, there’s no immediate need for the company to do so. Variety reported that advertisers are willing to commit more ad dollars to NBC’s primetime schedule and network don’t have to force itself into digital ad formats. It shows the legacy TV networks are not on the sidelines, waiting till the last minute and allowing the duopoly to gain market share. As a publisher, it’s time for you to embrace the industry standards and open source technologies (like Prebid or header bidding) to help open internet thrive. We trail Amazon to track the strategies and get the lessons we need to break the duopoly. Building a unified log-in system, scaling up first-party data, convening a brand safe environment, etc. are all conspicuous and the industry’s on it. We’re looking to capitalize on the opportunity created when Amazon eats the duopoly’s share. When advertisers requested video ads, it delivered. When marketers are trying to get all done in one place, it consolidated its ad offering under ‘Amazon Advertising’. It reflected on the feedbacks and improved ad units and available formats. The results were through the roof. It became the third-largest advertising platform in the US capturing over 4% of the total digital ad market. More recently, Pivotal research forecasts the Amazon ad business will bag a whopping $38 billion as revenue by 2023 and it will be the fastest growing wing of Amazon. Though it isn’t beating the duopoly, it has the leverage to play around the margins it takes from the sellers and buyers. Unlike Google and Facebook, Amazon has other well-developed business lines to back up the experiential margins. Google joined the Coalition for Better Ads to improve the ad experience for the readers across the web. From the last February, it started blocking non-compliant ads on websites including its own ads (served or owned). The company recently announced the complete worldwide rollout of the adblocker on Chromium blog. What are all considered abusive ads? As per the Coalition for Better Ads, 12 ad experiences are found to be annoying to the users and those ads will be blocked on all the websites. The list included 4 ads from desktops and 8 ad formats from mobile. We hope you haven’t been running any of the intrusive formats on your website so far. If you have, it’s time for you to review and clear them, once and for all. You can use Google’s ad experience report to check whether you need to take any actions regarding ads delivered to the readers. You’ll be given 30 days to completely remove the format. When’s it rolling out? July 9, 2019. Facebook had a long day at CES, trying to clean up its platform from the myriads of concerns. What happened during the client council? The company said it’s looking to devise solutions to stay transparent with the data and of course, pushed story ads. Also, Reddit pitched itself as an alternative to the duopoly.